There are fencing competitions, and then there are fencing competitions. The fencing Grand Prix is a fencing competition that is unlike anything else in America. There are certainly other competitions in the world that have a similar stature in terms of size or media coverage or fencing prowess, but not here in the United States. It’s a yearly exercise in the best, and it’s something I look forward to year after year. What is the Fencing Grand Prix? When we think of the words “Grand Prix”, for lots of people that brings to mind automobile racing. Honestly in fencing it’s much the same as it is in car racing, except instead of cars racing around courses in different parts of the world on the hunt for the top prize, it’s fencers chasing each other across the strip to hunt for the top prize. The international governing body of fencing, FIE, organizes a series of nine events around the globe each year for the best fencers in the world to meet and challenge themselves. These competitions are called the Grand Prix, and they take place literally all over the world. You can see that there are three Grand Prix held for each weapon, and that they are held across the globe. The competitions run from January through May, with fencers vying for international rankings and qualification for other competitions. Grand Prix are different from the Fencing World Cup competitions, of which there are five each year. They are also distinct from zonal championships, which cover only a certain region of the world. The world rankings are fed into through qualification from World Cup, Grand Prix, and zonal competitions. The Olympics are a totally different thing, governed by a different organization, the IOC. Satellite competitions are held in addition to all of these other international competitions. So there you are, the basics of the Fencing Grand Prix. It is competition on a level beyond what you can see anywhere else in the United States, and it comes here year after year for the last 5 years. New rules that FIE is testing for all fencers are seen right here. This is the incubation point for what is coming next, what is new in fencing. Fencers are always asking, how can I get ahead of my competition at the regional level or the national level? Well right here I am giving you the answer – attend the Grand Prix in Anaheim, officially titled as Absolute Fencing Gear FIE Men’s and Women’s Foil Grand Prix. This is a celebration of fencing. Here you can see the highest level of fencing competitors. You see Olympic champions. You see world champions. You see the zonal champions from Americas, Africa, Europe, Asia. These are the fencers whose names are going to end up in the Fencing Hall of Fame and on the podiums at the Tokyo Olympic Games next year. They are right here, right in front of you! The Fencing Grand Prix is individual and not for teams, which means that each of these fencers is out for their own podium finish rather than as part of a group. That changes the dynamic considerably, and sometimes even strategy, especially during Olympic Games qualifying year, since Olympic qualification is first done via teams.. In a Grand Prix each of these fencers is chasing their individual accomplishment in each match for the duration of the competition, and that is incredible to see. This is a competition where both men and women compete at the same tournament, which brings the best of both genders under the same roof on the same days. It’s an incredible showcase for fencing! Nothing can replace watching other fencers who are practicing their craft at the highest level. There’s just no substitute for it. When a fencer attends to watch an event like the Grand Prix, they just learn so much from it. It’s irreplaceable. It’s phenomenal. Simply sitting there and watching these fencers on the strip, you get to learn from it. The way that they move, what actions they take, what kinds of tactical and strategic decisions they make. Watching fencers on this level is wholly different than watching even the best regional or national fencers. Just being there to see them is a master class in what is possible in the sport. The amazing thing is that there are no secrets on the strip! Once they stand up and start to fence, it’s right there for you to see! All of their tactics and how they win, you can watch them do it all in front of you. It is not the same to watch it on television or Youtube. When you see these fencers in person, doing the sport, you get an up close and personal feel that you cannot replicate at home. It’s not just the moves on the strip that you can see though. When you come to a Grand Prix you can watch these international level fencers as they warm up and train with their coaches right before the competition. You get to see how they handle themselves between bouts and how they keep their focus. Watch how they grow from one bout to the next, how they implement the advice they get from their coaches during the bout. They come here and take the homemade actions that they have been working on and put them to the test. Sometimes they work and sometimes they don’t, but either way you can gain a whole lot of insight into fencing by watching them. It is something that we talk about constantly here on our blog, the mindset of the fencer. That’s because no matter how great you are at the physical side of this sport, without the mental stamina and training you just can’t get to those high levels of competition! So what do the highest level fencers in the world do to get ready for the big competition? You don’t have to wonder, you can just see them do it. 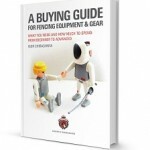 When you see these fencers, you see everything that we have talked about here on our blog. They stay focused, they put their effort into their swords and not into their emotions. Fencers at this level are really working towards their goal. All the time, they’re here in the moment with their eyes on that prize. You can see how they work every single angle. They stay calm in the moment. Watch how focused and almost relaxed they are when they go after that point, even if they are behind and even if it looks like they should be just drowning in the pressure. None of that matters when you’re in “the zone” at this kind of level of competition. When there is a deficit, watch how matter of factly they continue to go for that win. Suddenly a fencer who was down is getting point after point, exploiting the weaknesses in their opponent and going after those weaknesses until the bout is over. They do not stop fighting until it’s done and it’s not done until it’s done. There is no doubt that this is the highest level of fencing. Frankly it’s Olympic level qualification for the individual, and with that at stake you can see why the athletes take it all so seriously and intently. There is a joy in the athletes here even among their focus and determination. It gets heated, it gets intense, and it gets passionate, but it’s always celebratory! We talk a lot about the camaraderie that fencers find even among opponents, and that’s something that you can clearly see here in this event. Most of these high level fencers have been fencing against each other year after year for a decade or more. They form bonds among one another that transcend their country. Here’s the other trick – everyone loses sometimes. You can be the best fencer on the planet and have a bad day. You’ll see fencers who are right in the middle of that bad day when you go to watch the Grand Prix. It’s sobering to see how cool and collected they stay in the face of a potential loss, even on this kind of international competition. It’s almost like they know that getting upset about it won’t help them win. There are upsets and there are surprises. Even though you might think that everyone would kind of know who was going to win at this level, that’s not really how it works. Newbies can come in and just blow through the competition, taking down fencers who seemed like the surest thing. At this past Fencing Grand Prix in Anaheim, we got to see a lot of surprises, and it’s one of the things that kept us going and felt so amazing! Even though you know that surprises can happen, you don’t expect them to. Going in, there are certain matches where everyone thinks they know who’s going to win, even the fencers. Then newcomers come out of nowhere and burst onto the strip, taking out seasoned fencers who just that morning seemed like they couldn’t possibly lose. These fresh faces come in with the grit and determination that we’re always talking about, and they roll in to do their best. When they succeed, it makes us feel like anyone can succeed in fencing. Which is of course true. For example we saw Nicole Pustilnik, a 16 years old fencer from San Diego who represented Israel in the tournament, just fence fantastically on this world stage. She is one of the top U.S. Cadet/Junior fencers but has not yet gotten the big name recognition that she is worth. During this Grand Prix her fencing was totally amazing, focused and in the zone. Wonderful to watch. We are inspired by the newer fencers who come out, but the veteran fencers who are doing this really give us a master class in how to fence. Inna Deriglazova of Russia, who won the women’s tournament during the 2019 Grand Prix in Anaheim and who is an Olympic and two time World Champion fencer, showed us exactly how she got there. The women’s final was something tremendous to see, with the two best women’s foil fencers in the world, 2017 and 2018 World Champions Inna Deriglazova from Russia and Alice Volpi of Italy. Deriglazova worked for every single point, never taking a moment for granted on the strip. Watching her in person, you can feel how invested she is in this moment by moment, and it is so much more intense than what you feel when you see it on video. Her fencing is truly a celebration of what the sport should look like. You go back home and want to recapture that in your own training and in your competition. When you have champions competing against champions, it’s just unlike anything else. The men’s final bout brought a similar sense of focus and determination to this competition and definitely was not something expected. The men’s final ended with two foilists who saw the best result of their careers in Anaheim. One of the men’s foil finalists was Tommaso Marini, a Junior fencer from Italy. Watching him fence, you cannot help but recognize the way that he channels his power through the blade and out to his opponent. It is like every cell in his body is honed in for the balanced goals of preventing a touch against him while landing that touch on his opponent. While his fencing was not that super technique in my opinion – he looked more like a junior fencer rather than experienced senior fencer – Marini’s movements were executed so quickly and cleanly. That is saying something when he is standing next to another of the top fencers in the world. Some of his wins you can argue were lucky, like the stars had aligned for him versus much more seasoned senior fencers. Whatever luck gave him, Marini took it and ran with it. Eventually he lost in the final to Julien Mertine from France, who also does not frequent world podiums that much. Mertine was another discovery at this tournament. Those are just the winners though, and while they’re important, it’s just as important to me that my fencers see the grace in loss. Unfortunately the Americans did no place this year on the podium, which felt like a bit of a letdown after last year when Race Imboden took the Gold for the men and Lee Kiefer took the Bronze for the women. This year only Alex Massialas placed in the top eight among either the men or the women. That’s ok because sometimes it happens in fencing, we learn to roll with it. Even without the wins, it’s great to see how team members support each other. Everyone that was eliminated continued to stay and cheer and help their teammates. It was a really inspiring behavior of the fencers and their individual coaches to see how a country supports their fellow fencers. This is something we do not see domestically, it’s a unique thing to international competition. International competitions are so totally different when it comes to this aspect! One thing that really gives you that sense of pride and belonging is when the flag of your country rises up into the air and your country anthem fills the venue. It is amazing and it gives a unique dimension to the competition. The big wins feel good, but after three days of competition at the Grand Prix there is only one winner, there are hundreds of fencers who don’t win. Watching the grace and poise with which these elite athletes lose is just as important a lesson. The reality is that my fencers will lose as much or more than they win. That is why it is so important to see how champions lose! If you lose like a champion, then you’re on the path to winning like one. And of course both finals were full of drama, with no clear winner until the last touch. Fencing is a niche sport. It’s not the kind of thing that generally gets a great deal of television coverage in the United States or that has a big venue for competitions. High school football or basketball can get local TV news coverage in America, but you’ll have a hard time seeing that for fencing even on the national level. The Fencing Grand Prix is a bit different because it does get more coverage and more spectacle. This event is held in a big beautiful hall. The center podium strip is highlighted and decorated in a style that is friendly to the cameras, and yes there is television coverage of the event. There are tributes and big set up displays, it’s all powerfully and beautifully done. There are presentations with dancers and singers that add to the feeling of this being a big international event, which of course it is. It’s truly a celebration of the sport! This is one of the main reasons that I take my kids year after year. It’s inspiring, they want to be up there too doing the things that these fencers are doing! Yes, it is the sport itself that matters and how you are executing the nitty gritty of the fencing matters, but inspiration that comes from the big impression that this kind of big event gives you matters too. 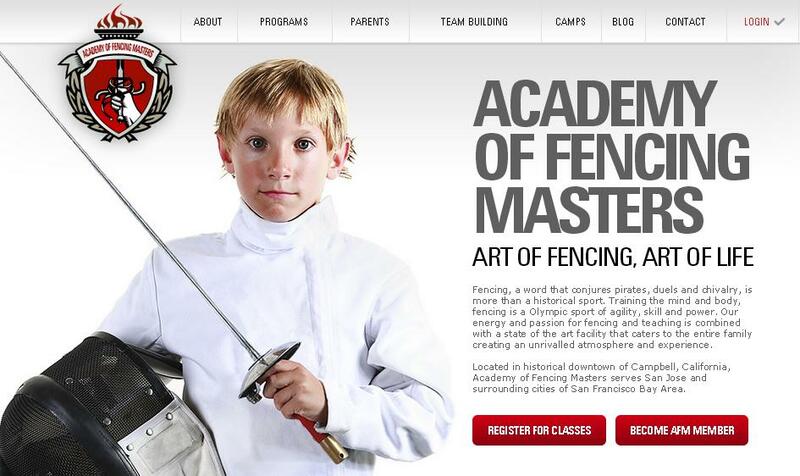 What is going to get a child fencer through those long hard days of training back home? For those of us who get to attend the Fencing Grand Prix, it can often be the memory of this big event and how they want to be up on that beautiful strip with the cameras and the audience. That’s a good enough reason to go for me! I have found that it gives my kids a sense of additional purpose in their fencing. An added benefit is the SJCC that’s been added to the weekend for fencers in the same convention center two floors down. This means that your cadet and junior fencer can go and compete at the SJCC and then you can all attend the Grand Prix at the same time. It’s pretty amazing that you can go and fence at the national level yourself while on the same weekend you watch world top fencers compete. It adds a new dimension to the inspiration and the sense of belonging for youth fencers. The whole thing is reasonably priced as well, so it’s not the kind of event that will break the bank. Those who compete in the SJCC will get in for free, where parents and those who don’t compete get in for something like ten dollars. The cost of watching world class fencing in person is along the lines of seeing the latest superhero movie at the cinema! How can you possibly not want to do it? There is the place that the Fencing Grand Prix holds in the eyes of international competitors who come to make their mark, but that’s not who I’m talking about. I’m talking about how the Fencing Grand Prix affects the people who attend it. That is nothing short of magical. Even for those who do not fence foil but fence epee or saber, the Foil Grand Prix is still an event that you need to go to. Yes you might not see every possible phrase and sometimes the referee’s ruling will be strange to you, but fencing is still fencing and you’ll still learn a lot from the things that you see. The attitude of gratitude that you witness these fencers show in defeat that we talked about earlier. The way that these fencers talk to the refs, passionately but without rude arguing (well, sometimes however with quite a bit of arguing). The way that these fencers don’t take a moment of the tournament for granted, from their arrival through warm up and then in each and every round. Imagine if we all savored every step of competition the way that these fencers savor the Grand Prix? Here’s the secret – that willingness to savor every moment of the competition is a major reason they got to the international level to begin with. The Fencing Foil Grand Prix in Anaheim, California is the highest level competition that is reliably held on U.S. soil year after year for the last 5 seasons and we hope it will continue going on in the future. That makes it significant! It means that you can come and see this kind of world level fencing without leaving your country. Yes, the Olympics do come here every few decades and the World Championships could possibly come here at some point, but those are unknowns and happen so infrequently that you cannot plan for those. This event on the other hand happens every year right here in California! I cannot encourage you enough to go. If you are in California, attending this tournament for fencers should be pretty much mandatory. If you’re on the West Coast, it’s an absolute no brainer that you must attend. If you’re anywhere else in the United States, there’s no reason for you not to make every attempt to go! The weather in Anaheim is beautiful this time of year, the people are friendly, and the fencing is incredible. I have said it before in this post, but it bears repeating – there is no substitute for attending world class fencing in person. The Fencing Grand Prix in Anaheim is your best chance to do that. It’s the kind of thing you will find yourself regretting if you don’t make it. So don’t think twice, just go next year!